One-year programs in fields like analytics, finance and sustainability are helping Miami Business School keep up with changing student interests, says its dean, John Quelch. Applications to MBA programs have slid downward for the fourth straight year — a trend from which not even elite institutions have been immune. In fact, more than two-thirds (70%) of two-year, full-time MBA programs saw a drop in applications in 2018, including heavy-hitters like Harvard, Wharton and Stanford. Experts offer several explanations for the waning interest in the degree, including a strong job market, declining international enrollment, and students growing wary of high tuition and loan payments. Amid these circumstances, some colleges have been shutting down their MBA programs entirely, citing low demand. Yet others have been able to buck the trend. At the University of Miami's business school, MBA enrollment grew 12% last year, and officials note a rising interest in its specialist master's programs. Over the last few years, the Miami Business School has bolstered those niche offerings as a way to respond to students' changing academic interests. Among them are specializations in business analytics, finance and, most recently, sustainable business. It's one of several business schools to add specialized programs to draw students. 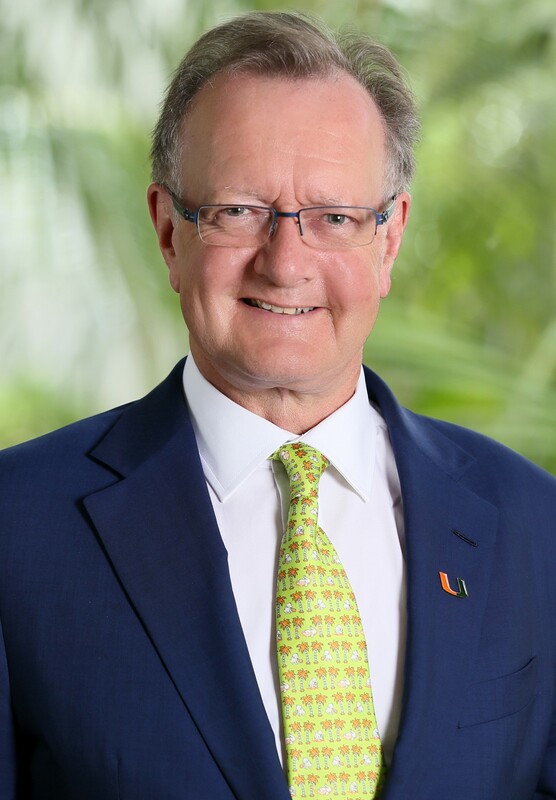 To learn more about that shift at U of Miami and across higher ed, Education Dive asked Miami Business School Dean John Quelch what he thinks is causing the decline of the traditional MBA and the rise of specialization. This article has been edited and condensed for brevity and clarity. EDUCATION DIVE: Why do you think enrollment in MBA programs is declining? QUELCH: The traditional two-year MBA is under pressure from a great increase in the proportion of undergraduate students choosing either business majors or business minors. Many of those students have not found it necessary to take an MBA of the traditional variety but rather take a one-year MBA or a one-year specialized program. Companies also do an excellent job of hiring talent coming out of bachelor's programs. Instead of letting those talented people go to MBA programs — and risk them not coming back to the company — they have developed internal career paths that include training. We were aware of this maybe five years ago and put significant emphasis on one-year specialized master's programs. Now, our specialized programs in business analytics and finance, in particular, are very strong. What are some of the features of your specialized master's programs? QUELCH: All of our programs are 10 months long. Three are STEM-certified, which means foreign students can stay in the U.S. for three years after taking the program as opposed to only one year. That's a significant competitive advantage. Those three, STEM-certified specialized master's of science programs are in business analytics, finance and sustainable business, which is new. They're STEM-certified because we have a significant science component in the curriculum so graduates will be equipped with science knowledge as well as business skills. A couple of our programs are also available online and on a part-time basis for working professionals in South Florida. How does specialized enrollment compare to overall enrollment? QUELCH: If we looked back five years, we would probably see a situation where the number of graduate students in the business school was about two-thirds of what it is now. This year, we had 95 students in business analytics compared to 45 the previous year. Our finance enrollments are up 10%. The University of Miami has also made strides in terms of its perceived and actual quality, and our student applications at the undergraduate level were considerably higher this year as well. I would say a potential weak spot is accounting, but that's a temporary phenomenon. When the economy is good, enrollments in accounting master's programs tend to soften. When the economy is in recession, enrollments in accounting programs do much better. What do you think is behind the growth in your specialized master's? QUELCH: The traditional MBA includes a general management first year, where students do a variety of courses that cover finance, accounting and marketing, economics, and organizational behavior before they do a major in the second year. In other words, they move from the generalist to the specialist. We have found there is a strong appetite for what we call the flipped MBA, which is moving from specialist to generalist. If a specialist master's student believes they need more general management exposure, then they may segue from the specialized master's into taking a full-time MBA in the second year they are with us. We find that's an extremely powerful value proposition. Where do you think the MBA is headed? QUELCH: Let's not forget that the MBA is a hundred years old. It's a very adaptive degree and is in need of constant renewal. About 25 years ago, injecting ethics into the curriculum was very important. Fifteen to 20 years ago, injecting a global mindset and globalization became very important. In the last five years, injecting digital into the curriculum became important. What's the next big change MBA programs should be ready for? QUELCH: The concept of sustainable business is exceptionally important, and that is one of the reasons for our new master's in sustainable business. That enables us to develop curriculum content that later finds its way into a mainstream MBA. These specialist programs are actually very good testing grounds for the power of new ideas. One reason for the current decline in MBAs is that it is usually not an inexpensive program. Is there any momentum in lowering the cost of the degree? QUELCH: Most business schools are very astute in their scholarship allocations. Depending on how good the candidate is, you can discount the list price as needed, giving scholarships to those students who you're most interested in. So I don't believe that the list price is necessarily a deterrent or sacrosanct. International students make up a significant share of enrollment in graduate programs at U.S. business schools, but fewer foreign students are interested in heading here for college. Is there a way to get those students back? QUELCH: I do think the current political climate has had a deterrent effect, and our colleagues in Canada, Australia and the United Kingdom have been alert enough to take advantage of that. But I believe the forces of globalization will reassert themselves. We are a global economy, and people will need to develop a global mindset. They can only do that if they're involved in a program with a large number of international students.